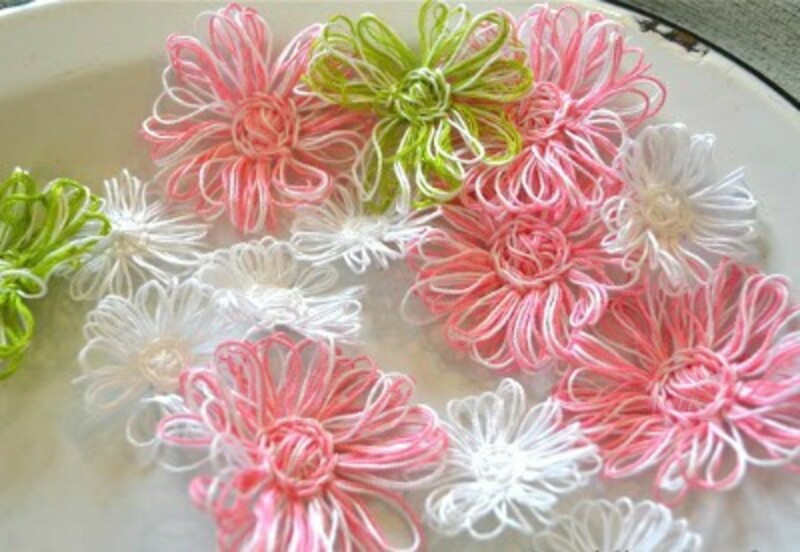 This article is about the best flower crafts, about how to make them and where to get the directions to assist in making them. While searching for different flowers, I was amazed at the number and types of flower patterns available, if we just have time to look for them. 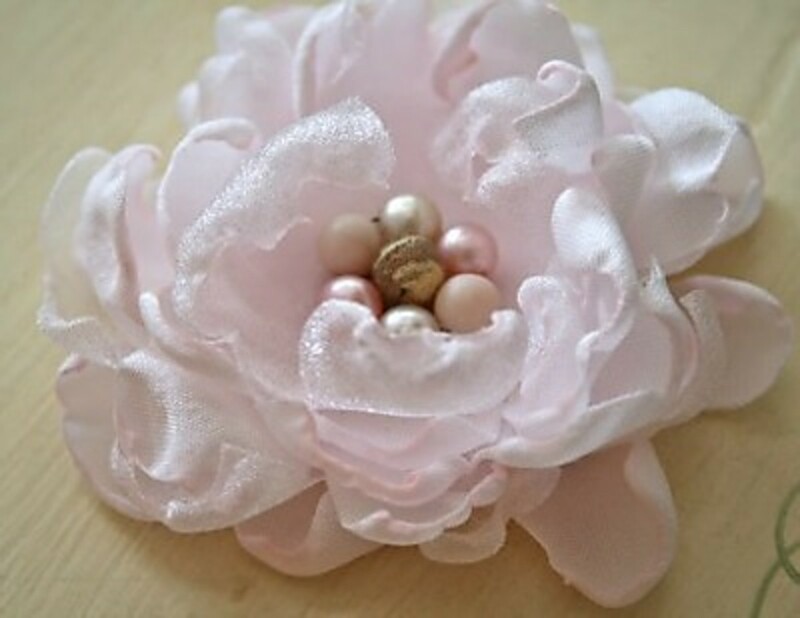 I'm hoping that I can be of some assistance to you by listing the flower crafts that I found and also giving you the site address that will take you directly to the directions. I have found that sometimes it takes more time searching for ideas than it does to actually make the item. 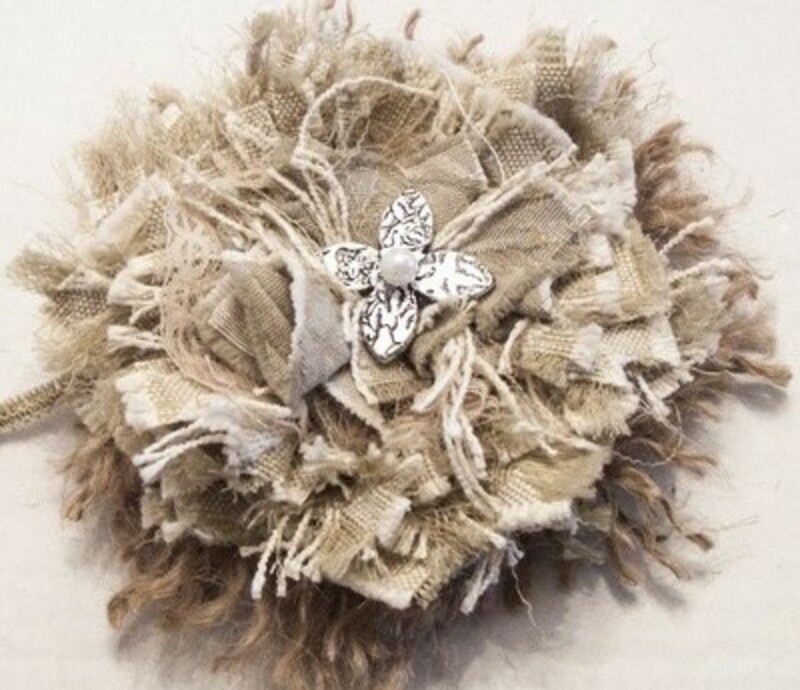 To make the flower corsage shown above, go to the Tea Rose Home site. Imagine decorating for a party with these huge paper flowers. These would even make a nice backdrop for wedding or seasonal photo shoots. 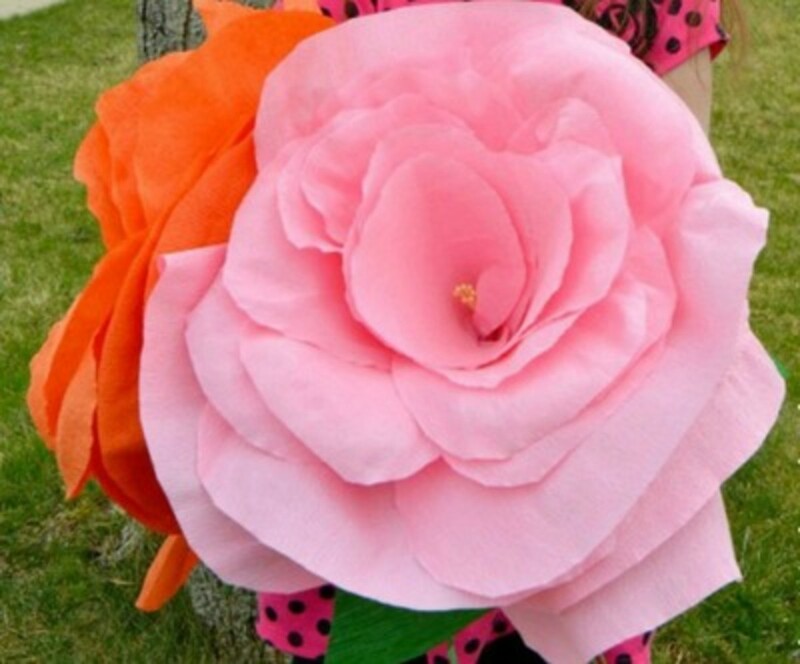 You'll find the tutorial for making giant crepe paper flowers at Crafts Unleashed. 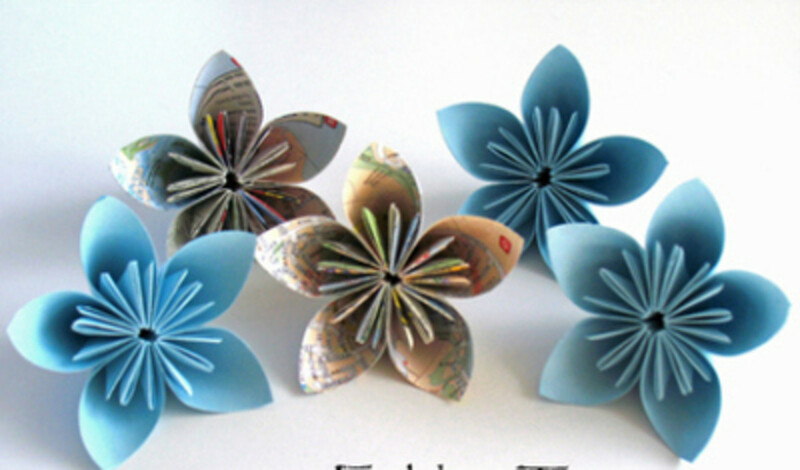 For an example of how you can make beautiful flowers using recycled paper, go to the sweet paul site. 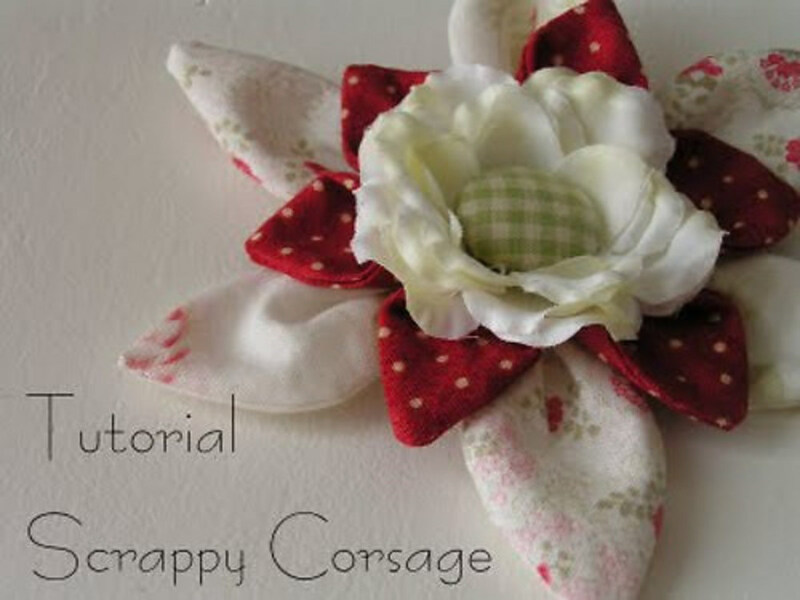 Imagine making all sizes of these pretty flowers to use with your scrap booking projects. 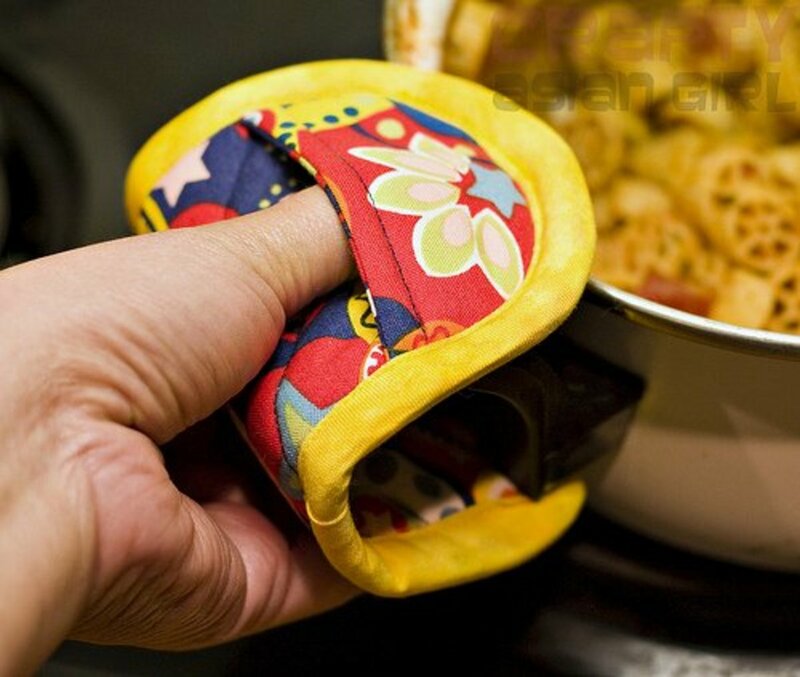 Find out how easy they are to make by going to the A THRIFTY Mom site for the instructions. You'd never believe how easy it is to make these beautiful shabby flowers, until you go to the Deja Vue Designs site to check out the tutorial. This is really a neat way to use those beautiful ties that are no longer being used. Go to raft envy for the directions. 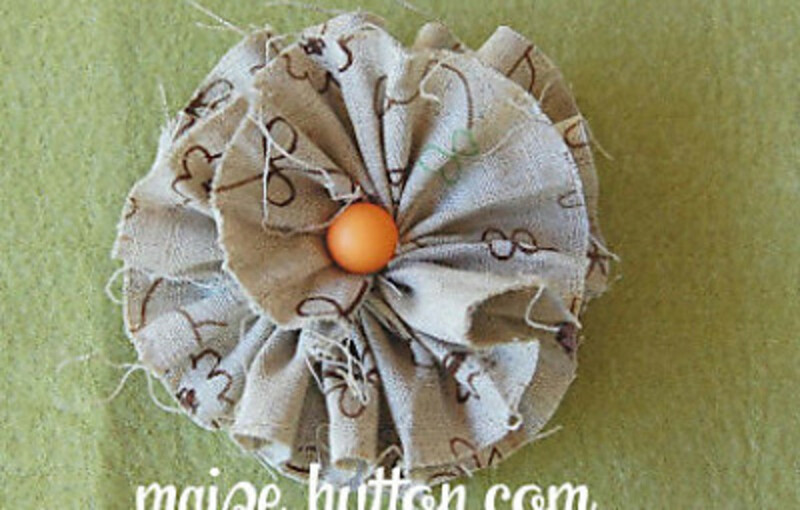 You'll love making this beautiful spring wreath using paper towels. 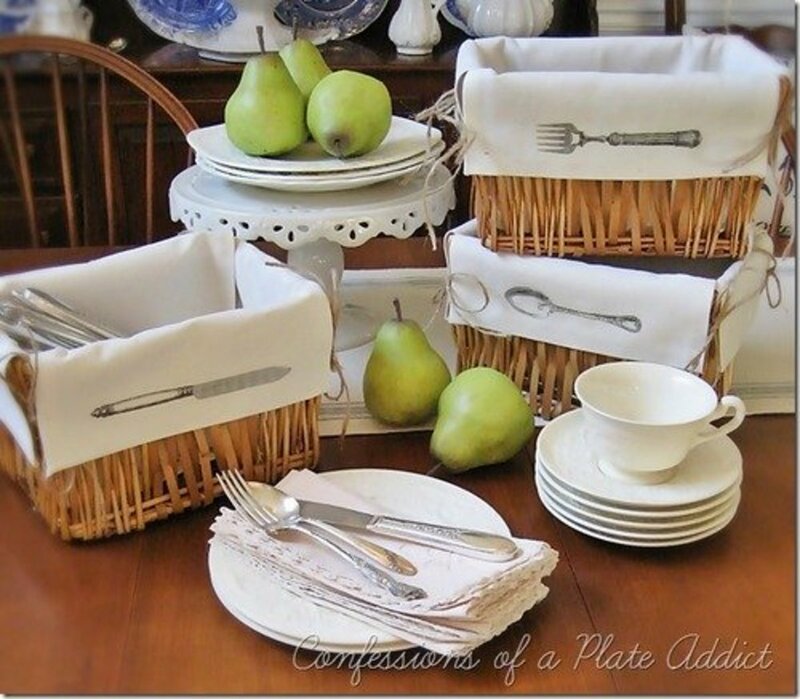 The tutorial, found at Made By Nicole, includes instructions on preparing the paper towels with paints. 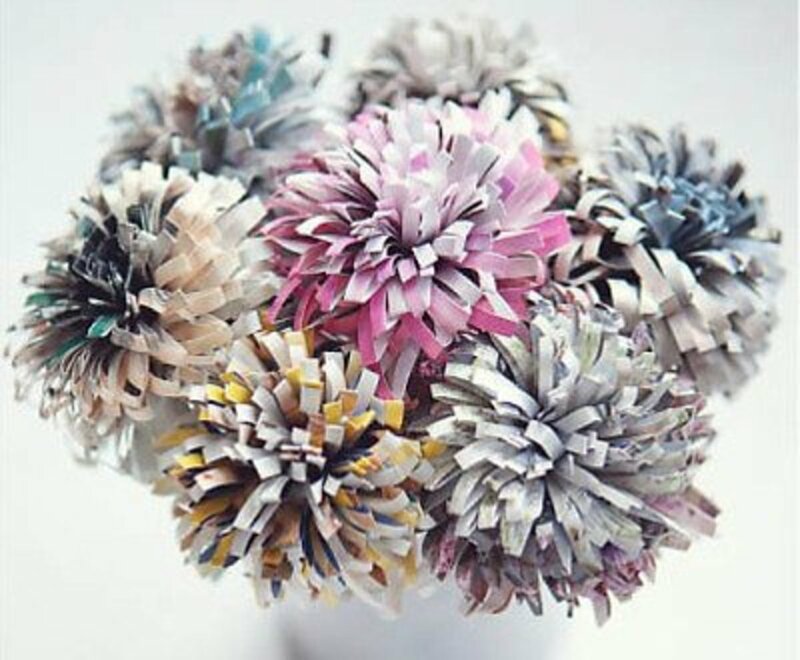 It's hard to believe that these beautiful flowers are made using pages from magazines. The pages are cut using a shredding (or fringe) scissors, which is something I had never heard of. 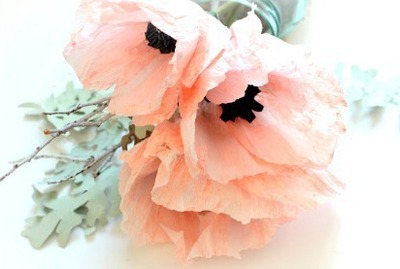 You'll find the tutorial for making these flowers at RockNRollBride. 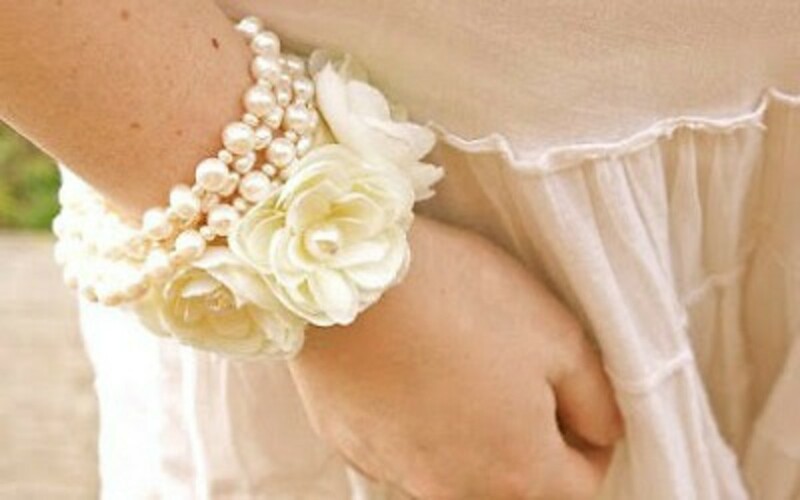 Make an attractive rose cuff bracelet following the instructions at Ruffles & Stuff. Check this out and see how really easy it is to make. 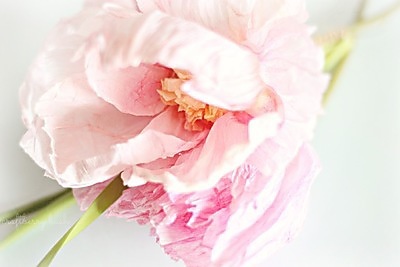 I love the looks of this full peony type flower. I can imagine it accenting a purse or shoes, or as a beautiful corsage. To find the directions, go to the Make it Do site. This is a beautiful necklace that you'll want to make one of every color for yourself and your friends. Go to Little Miss momma for all the directions. 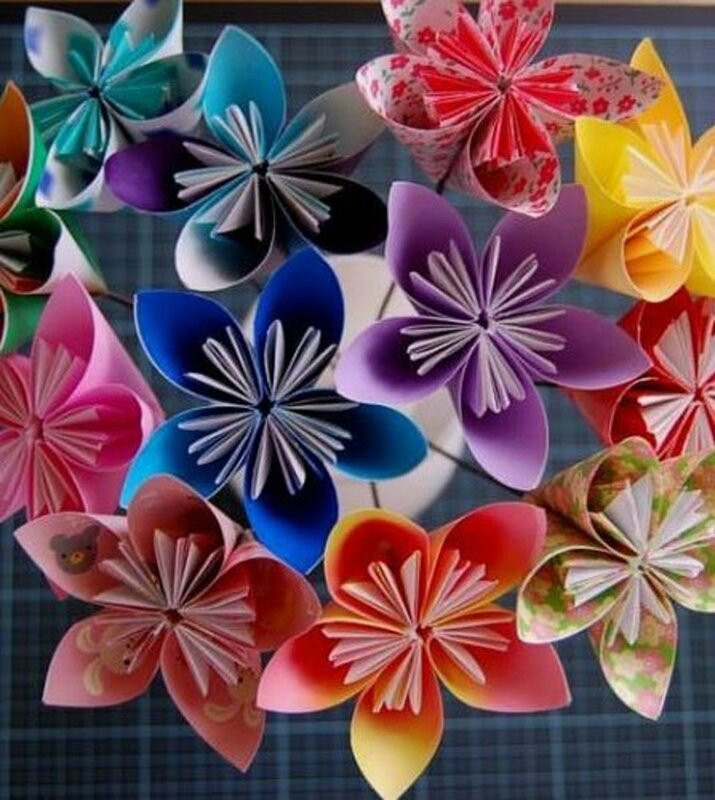 These are beautiful folded flowers that I'm sure you will be able to imagine a dozen uses for. Go go Planet June for the directions. What little girl wouldn't be thrilled with this look? To find the directions, go to NutMeg Designs. 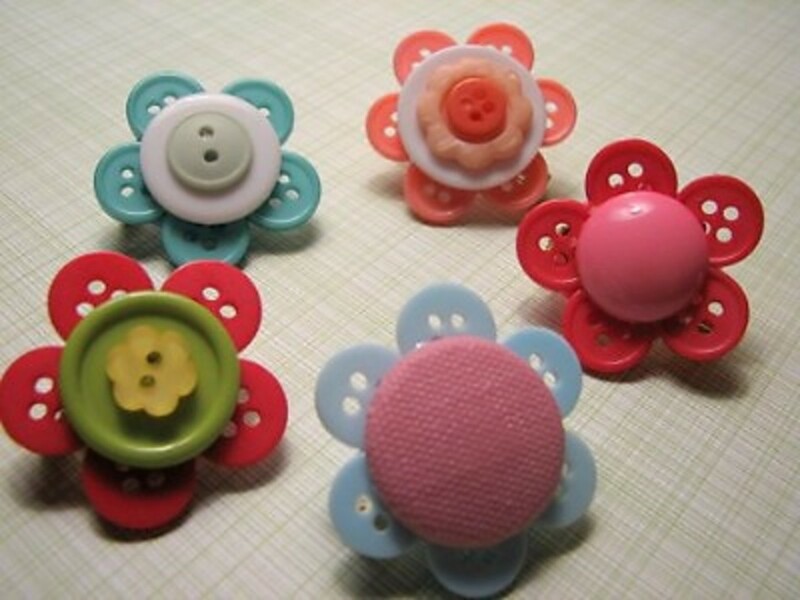 Really cute little button flowers that could be used in an array of ways. If you want to make these cute little flowers, go to artsy crafty babe. Easy and beautiful are words that describe this pretty flower. Go to Maize Hutton for the directions. This flower project is a nice one for kids and for seniors. The paint chips are easy to work with and make nice large flowers. 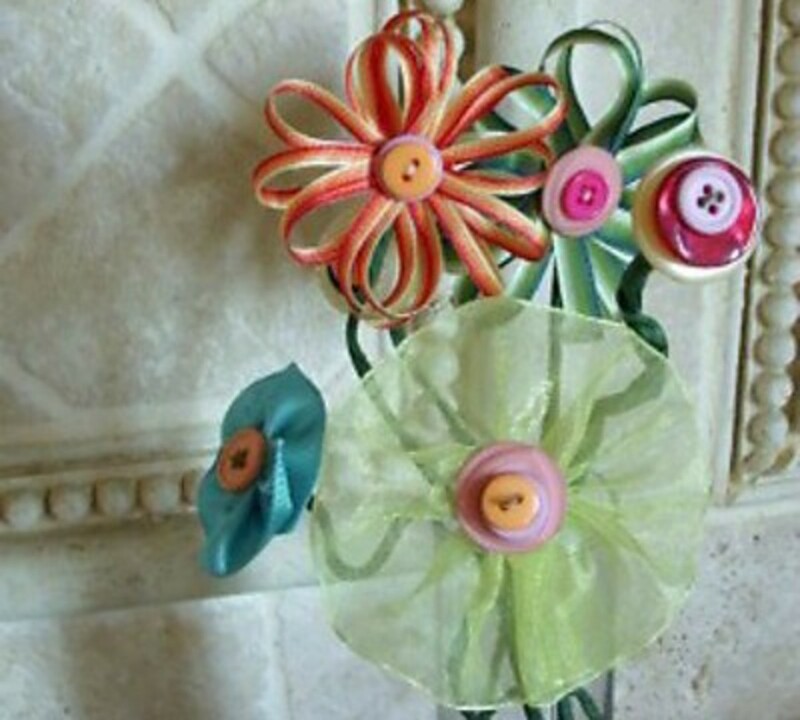 You'll find the tutorial for making these flowers at Scissors and Spoons. So simple to make and so beautiful to look at. Make this spring bouquet by following the instructions at Hope Studios. 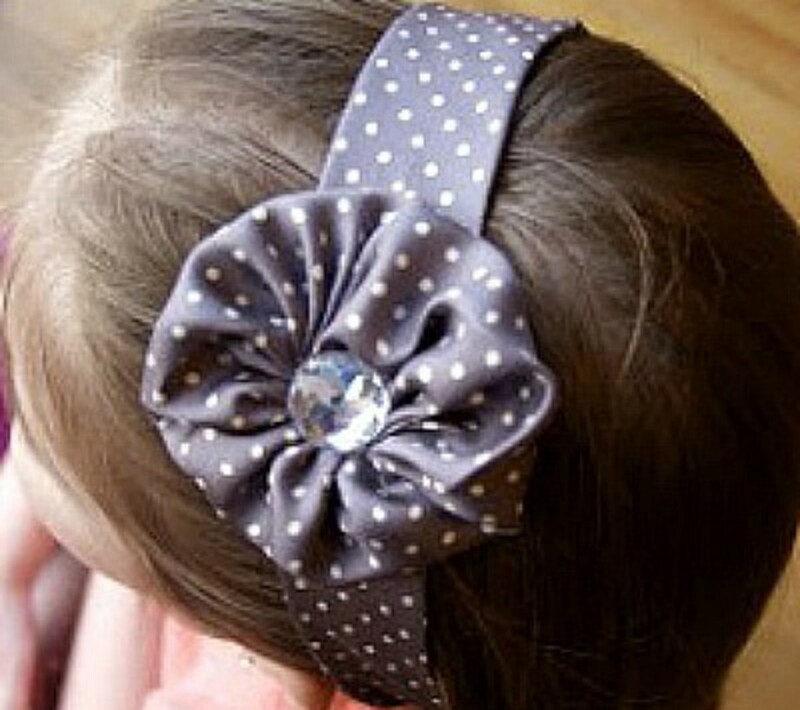 One of these on an elastic headband, would be so cute on a baby girl. To find the directions, go go Pink Paper Peppermints. 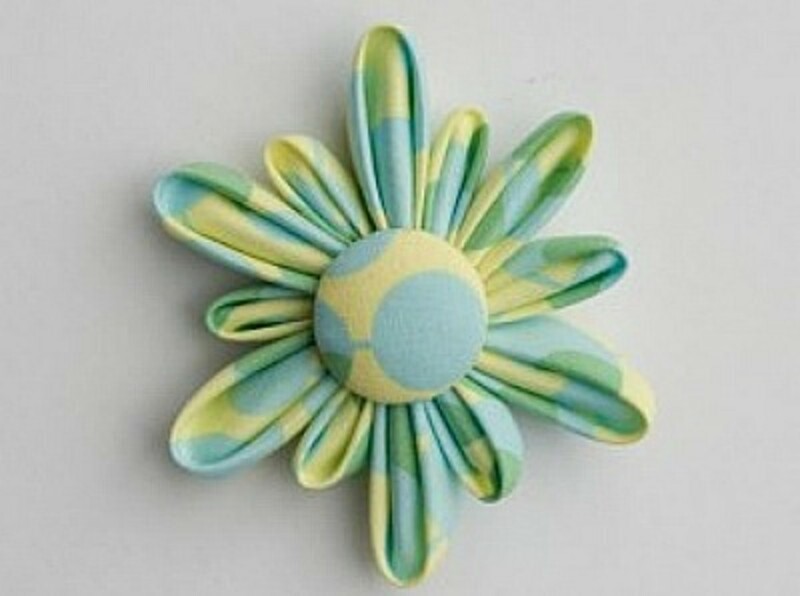 This elegant flower is a brooch and you can find the directions at Gone to Earth. 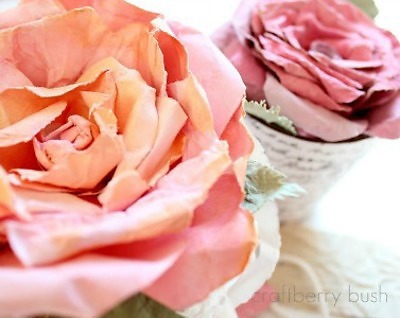 I can see these crepe paper roses used for a bridal shower or wedding decorations. You can find the instructions for making them at craftberry bush These really look like roses. 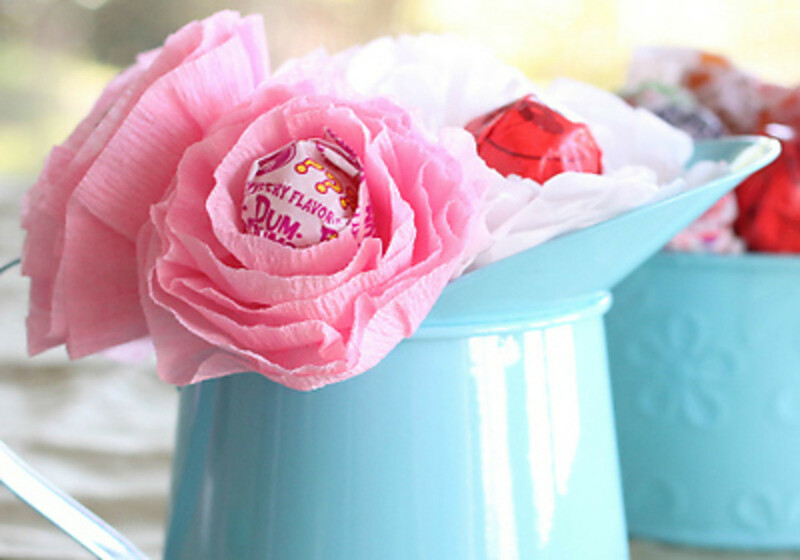 You, too, can make these beautiful lollypop centered flowers. For the instructions for this project, go to Helpful Homemade. 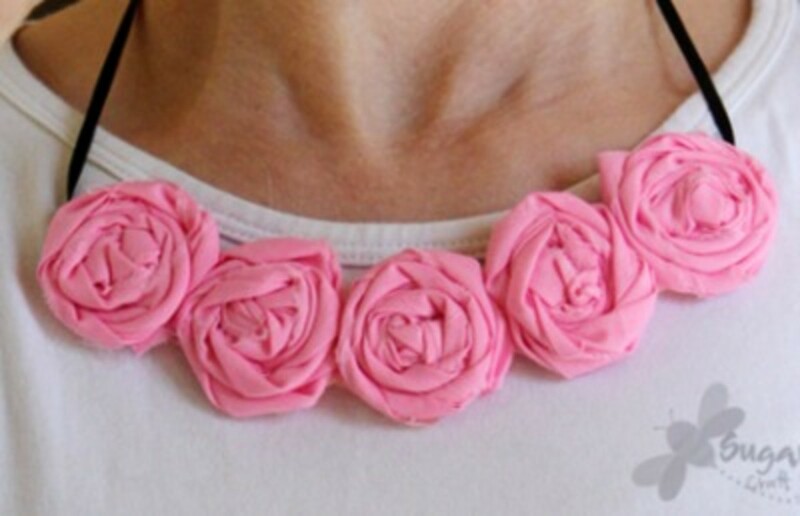 Dress up an outfit with this attractive pinked edge flower. The directions can be found at artzy crafty babe. Roses are always a beautiful addition to a wardrobe or décor. Go to CRAFT, LIFE & LAUGHS! 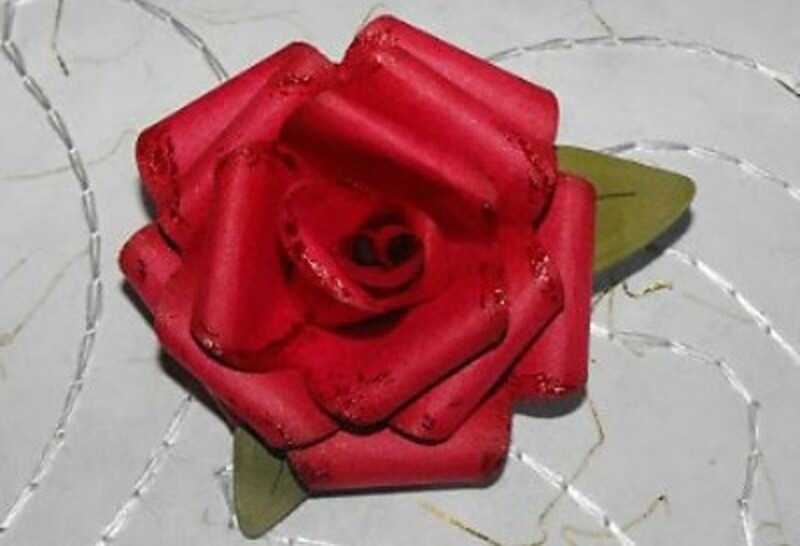 for instructions to make these roses. 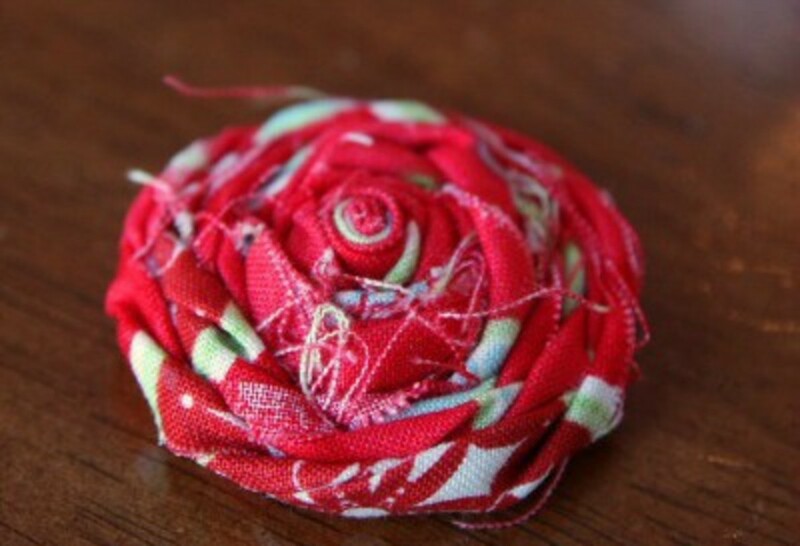 This beautiful rose is made with wired edged ribbon. 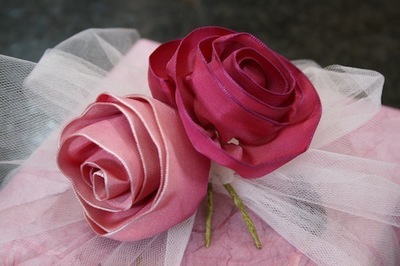 Of course, you can choose any color wired ribbon to make your own roses. for the directions, go to Jane Means. Use only two or three of these giant flowers to make a beautiful bouquet. For the directions, go to CREATIVE JEWISH MOM. 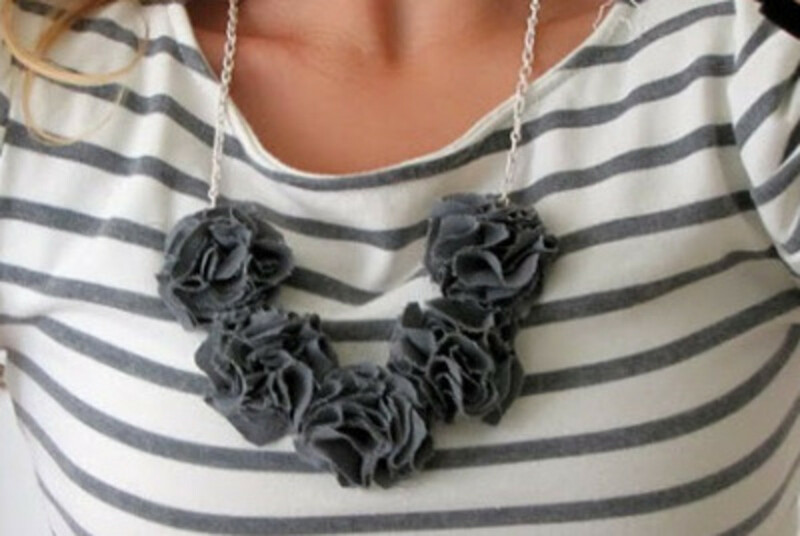 The flowers on this necklace are also shown on a headband that is really cute. Go to Sugar Bee Crafts to see how they are made. 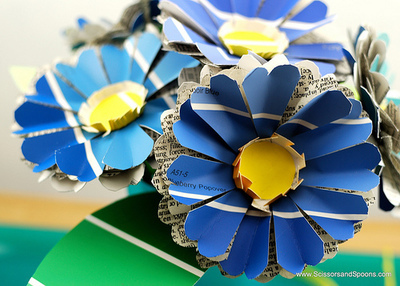 These beautiful flowers will be so much fun to make and there are so many ways to use them. Go to craftberry bush for the directions. 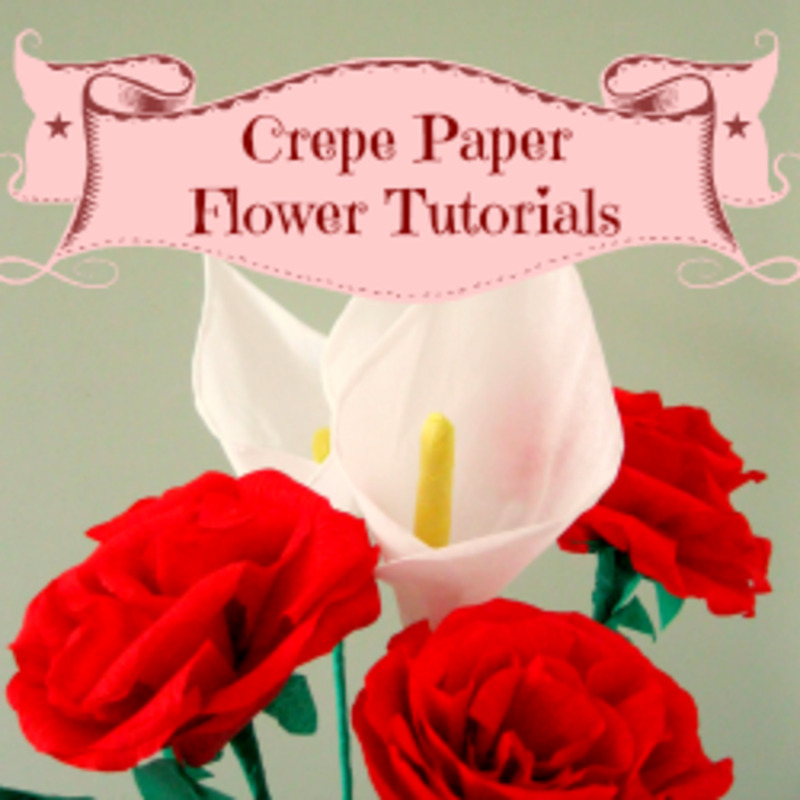 Another great flower tutorial from craftberry bush. Unbelievably realistic. I think is is such a beautiful flower that would look great as a pin, a headband or an accessory of any kind. 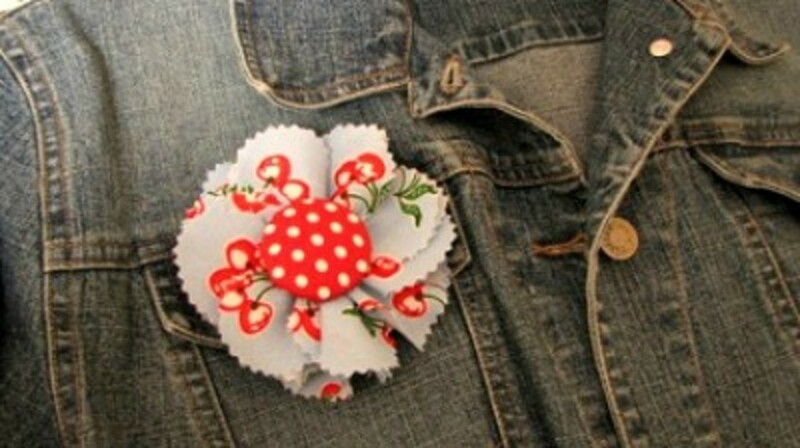 Find the tutorial for this fabric flower at The Polka Dot Closet. 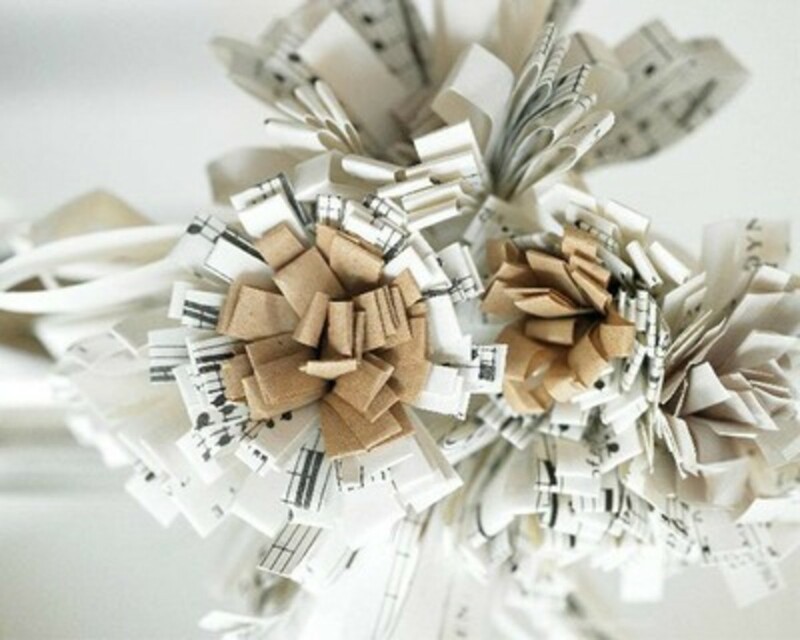 The possible uses for these rolled fabric flowers are endless. 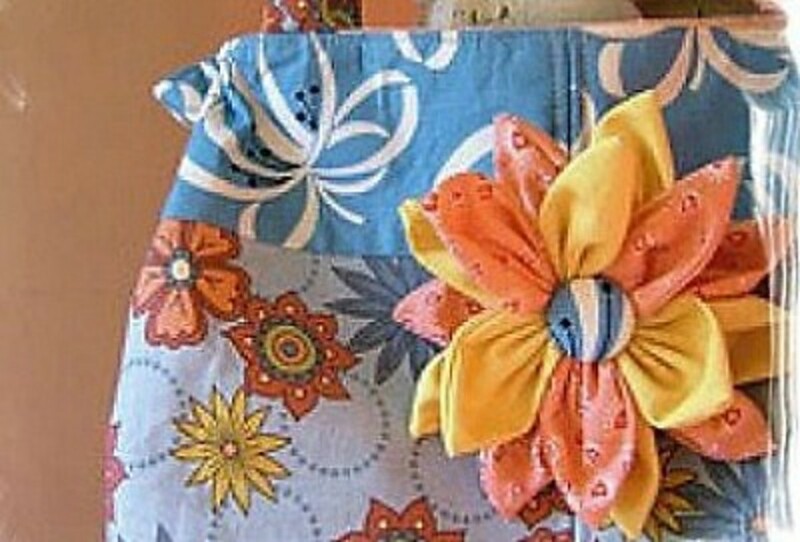 After making a group of these flowers, start accessorizing. You'll find the easy to understand tutorial for this project at OUR BEST BITES. Make attractive corn husk flowers garland like the one shown above by following the instructions given on the YouAreMyFav site. 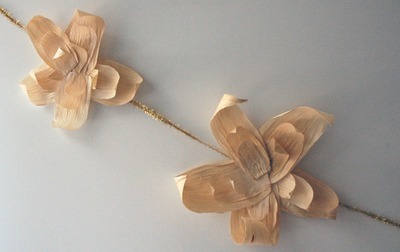 Wouldn't these corn husk flowers be outstanding in a Fall centerpiece? 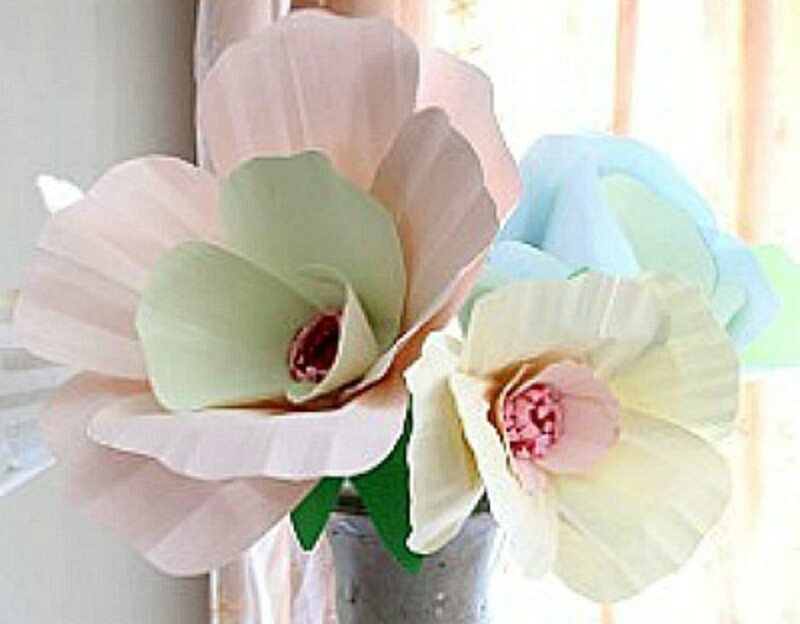 Pastel flowers like these would make a great decoration for a baby or bridal shower. 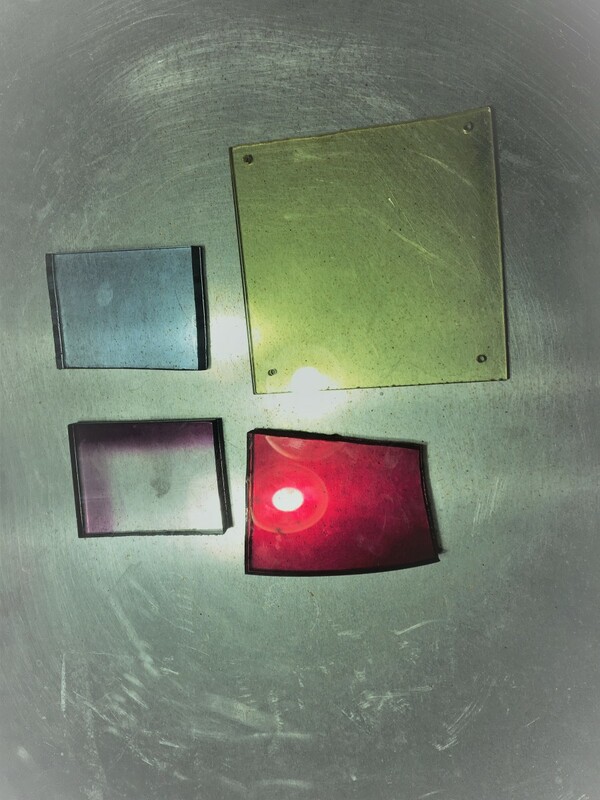 Afterwards they could be incorporated in the baby room décor. 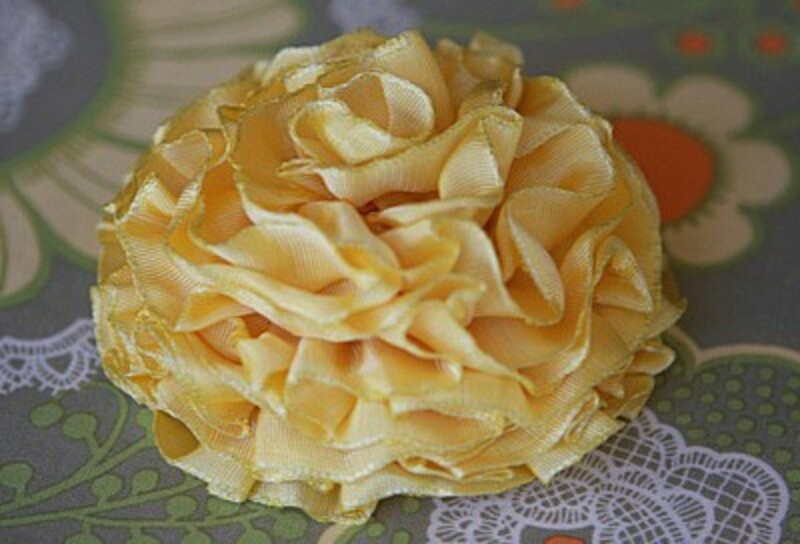 Find the tutorial for making these twine flowers at The Bug Bytes. The lotus flower is a water lily type flower. 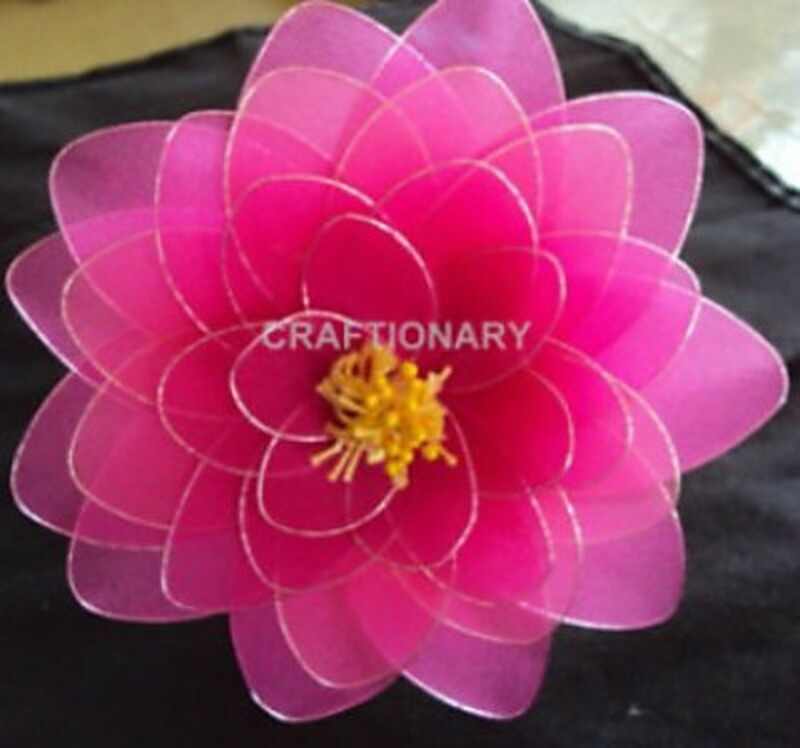 You'll find the excellent tutorial for making this lotus flower at Craftionary. 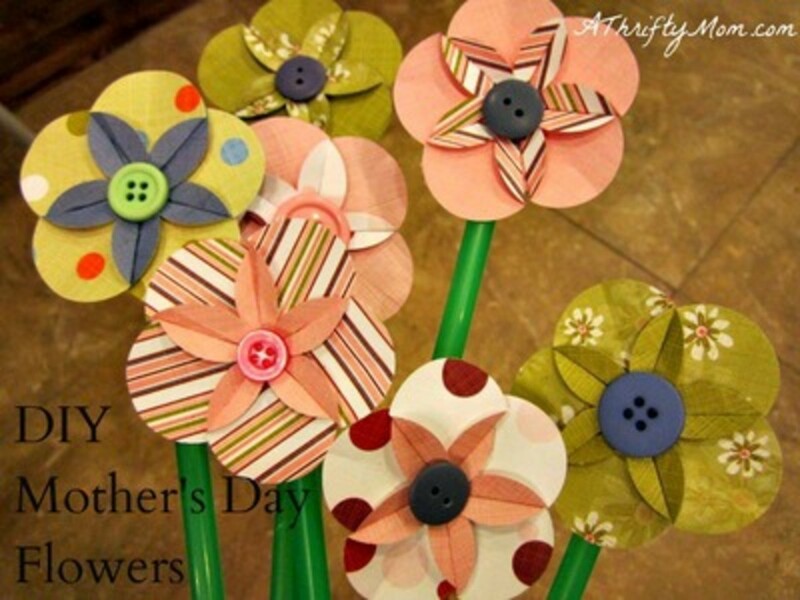 The site has lots of pictures to help you make these beautiful flowers. 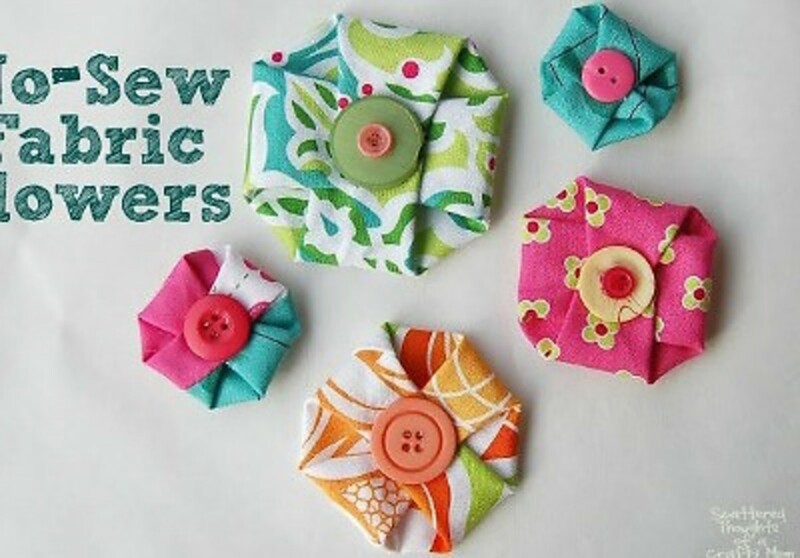 Imagine all the ways that you could use little fabric flowers like these. 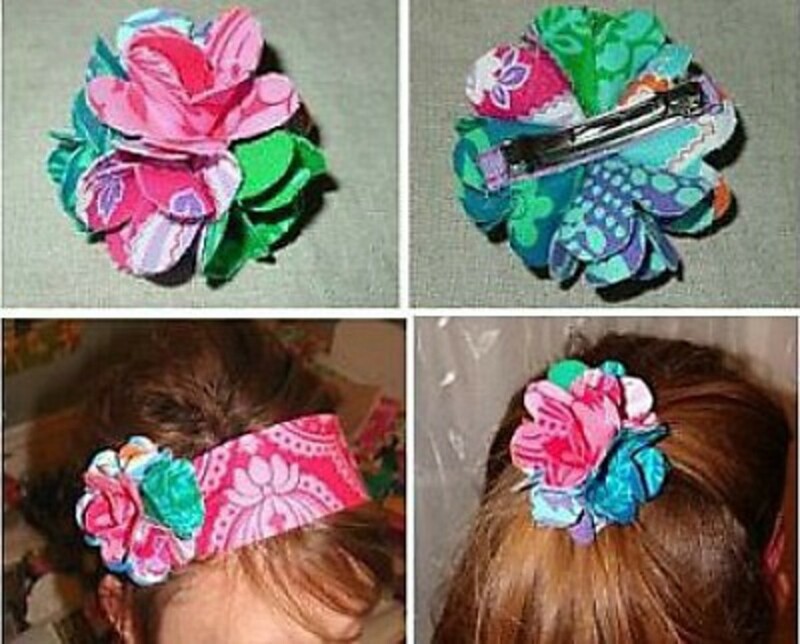 Just a couple of ideas would be to make a headband or a hairpin with them. 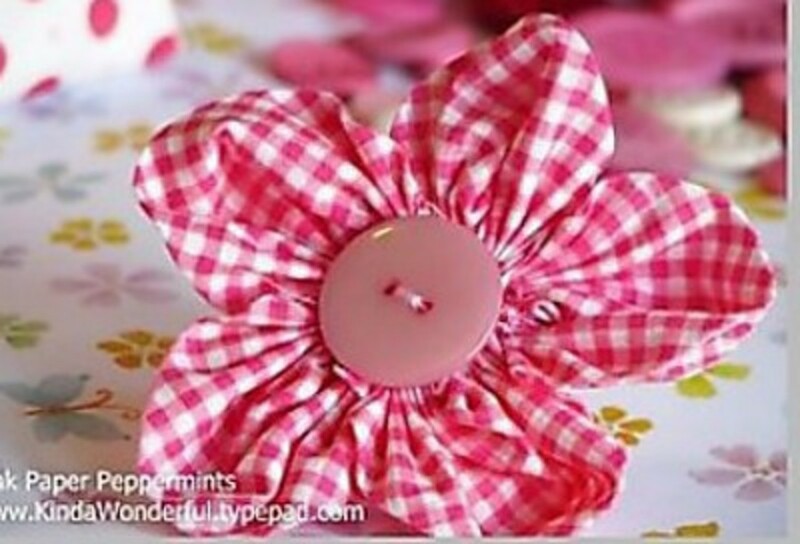 The easy directions for making these no-sew flowers can be found at Scattered Thought of a Crafty Mom. What a wonderful collection of flowers. There are a few I will be looking closer at to see what I would like to try to make. The flower crafts are so nice. Great lens. These are so pretty! Love the wire edged flower best, I think. Gorgeous and what great ideas! I hope to make my first lens as good as this one! 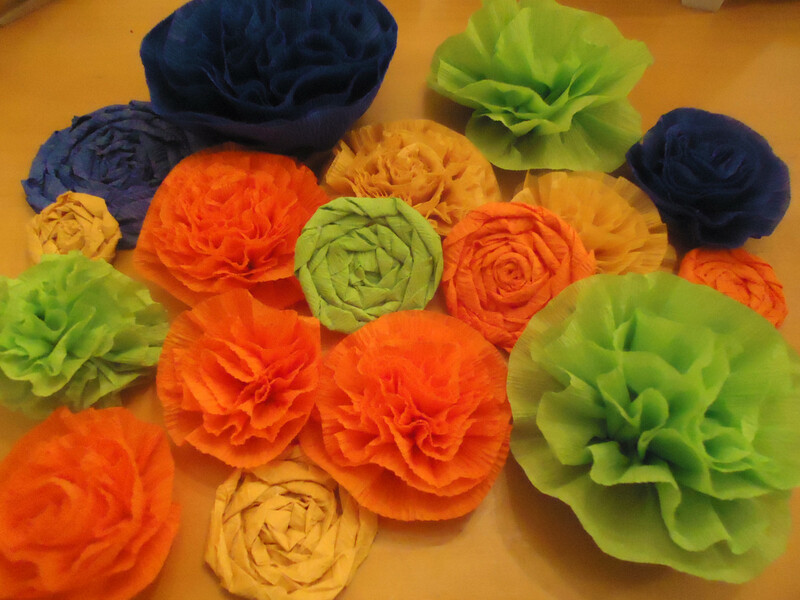 So many beautiful flowers to make. Thank you for providing the links to the instructions. This will be a good lens to come back to whenever I need a flower for a decoration. What an excellent lens...the links are wonderful. I'm bookmarking this, Squid Liking it and Blessing it! Nice work! 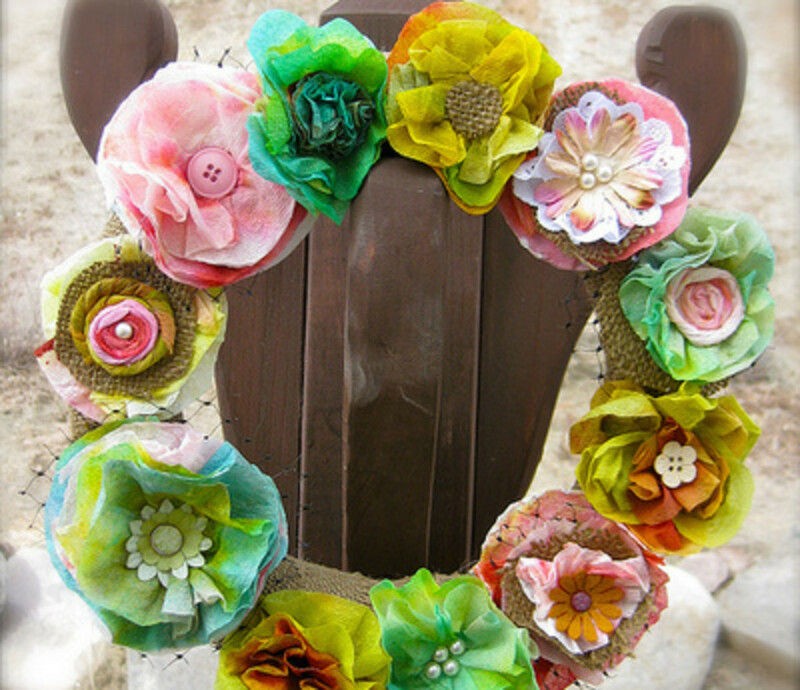 very creative, like your flower crafts!